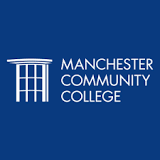 Manchester Community College in Hartford County Connecticut has teamed with Prendismo to offer Manchester students and faculty access to the over 17,000 video clips on leadership, entrepreneurship and management. The Entrepreneurship Program at Manchester led this effort in coordination with the support of library team at the college. The trial access will run through the fall semester and it will provide valuable insights to students in a variety of areas of studies, including hospitality management, business, technology, computer science, engineering science and health careers.